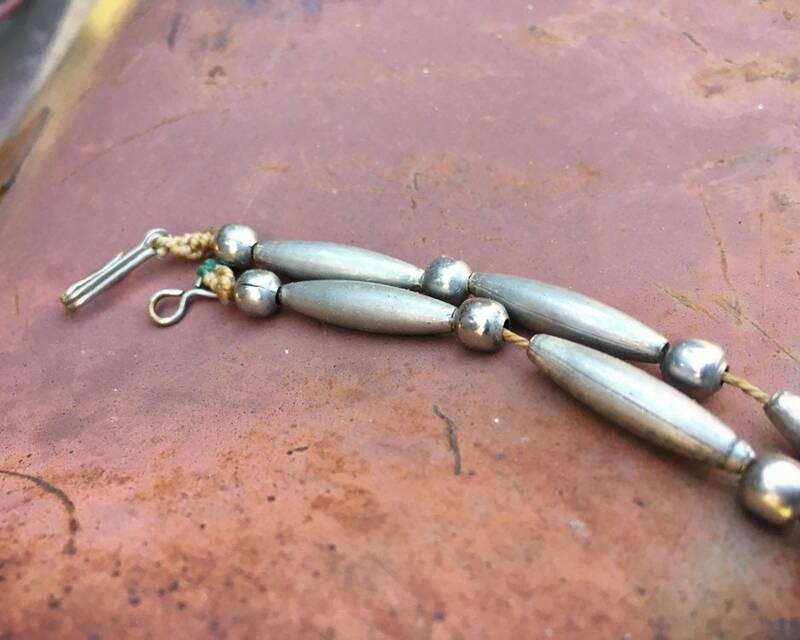 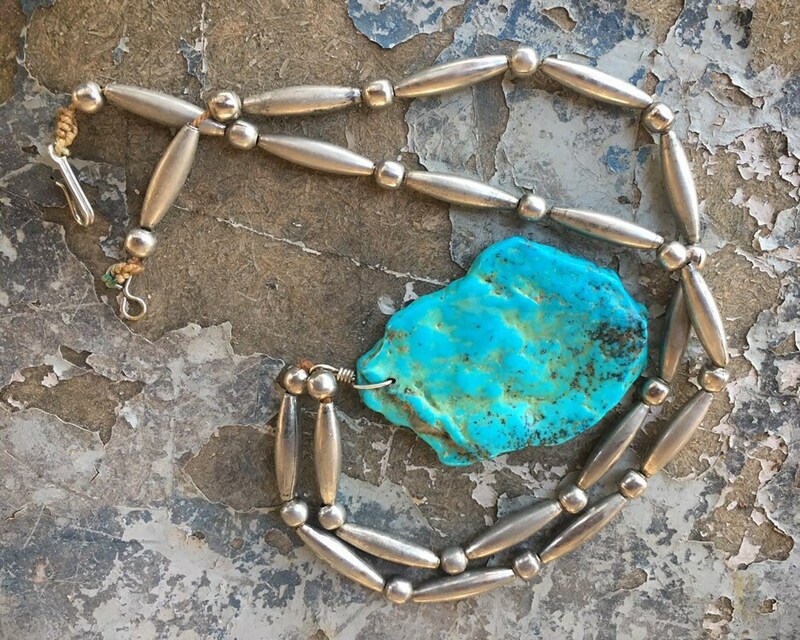 This is a traditional Navajo necklace of silver beads in the "melon" shape as well round ones, which form a chain that is then adorned with a huge thin chunk of stabilized turquoise. 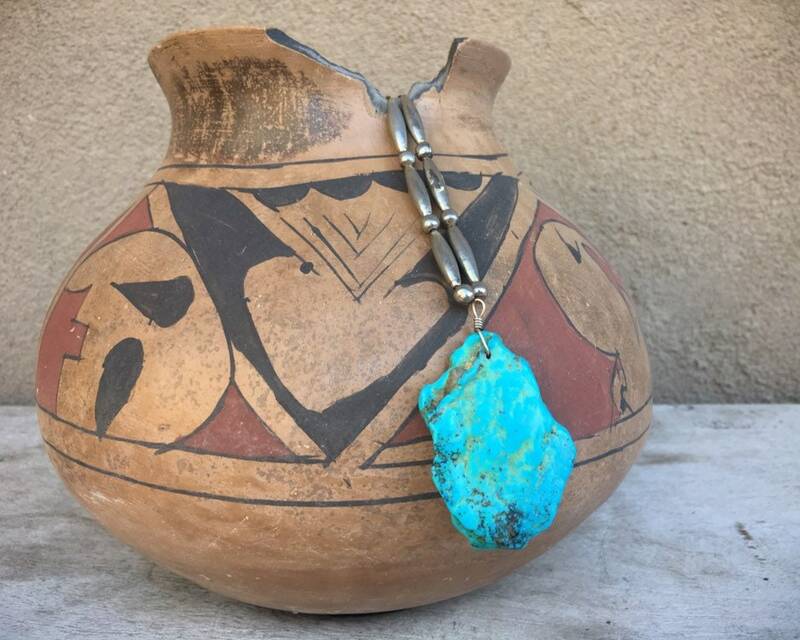 The piece is 1950s and comes from an old Taos estate. 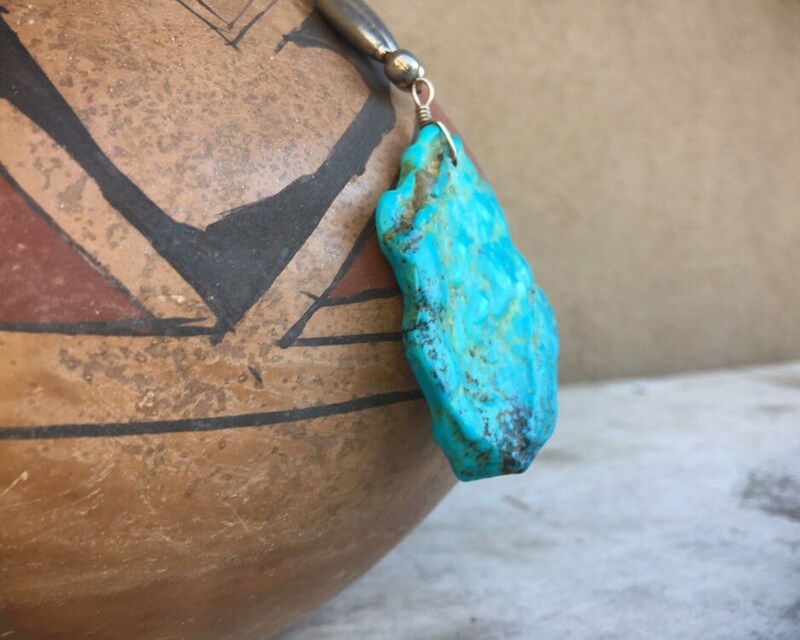 The beads are threaded onto a fairly thick nylon twine, and so you do see at the ends that twine, and at times if the beads are not covering it completely, you can see the twine in the necklace. 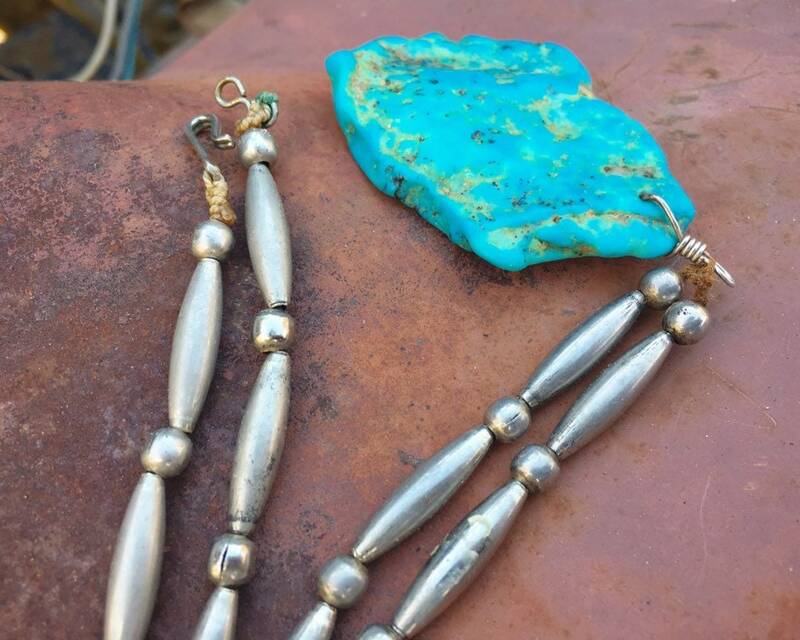 The necklace measures just over 21" in length from clasp to clasp. 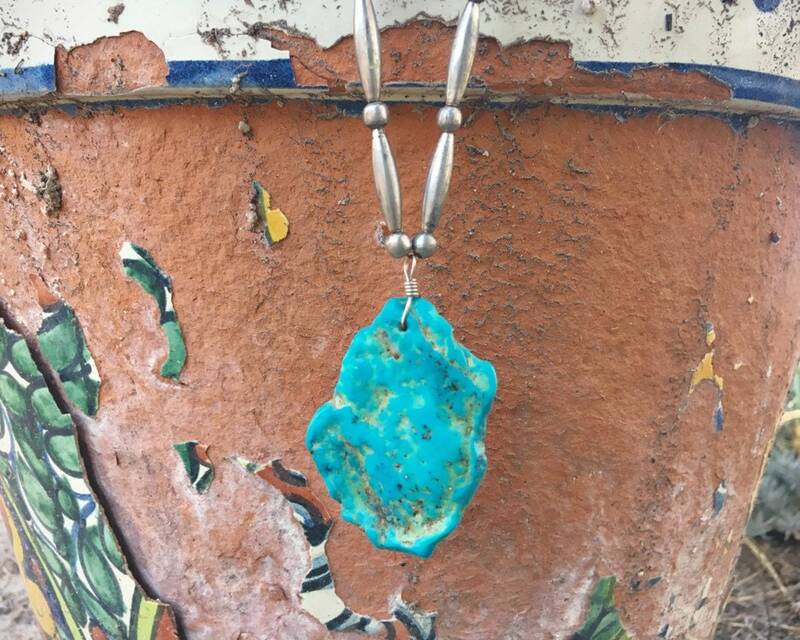 The pendant is 2" tall by 1-3/8" across at the widest point. 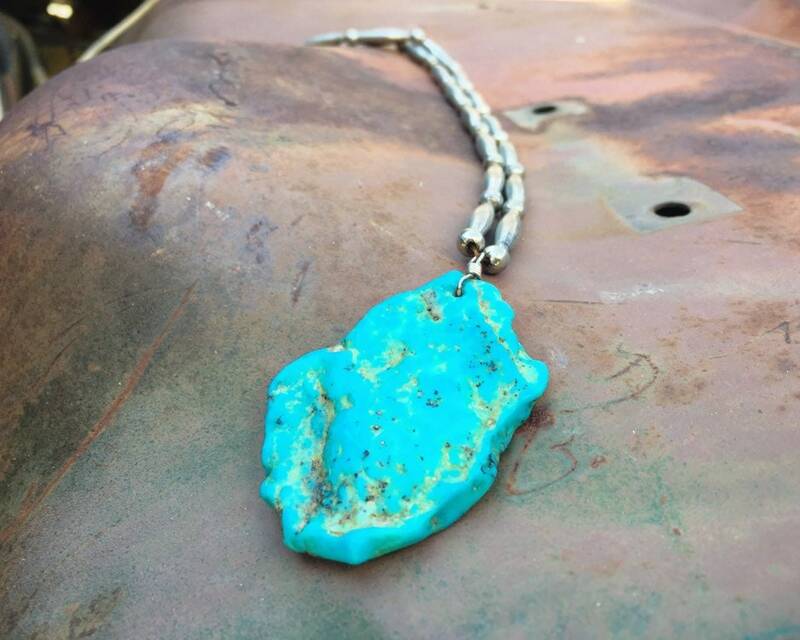 Other than the twine being quite old and visible in parts, is in good condition. 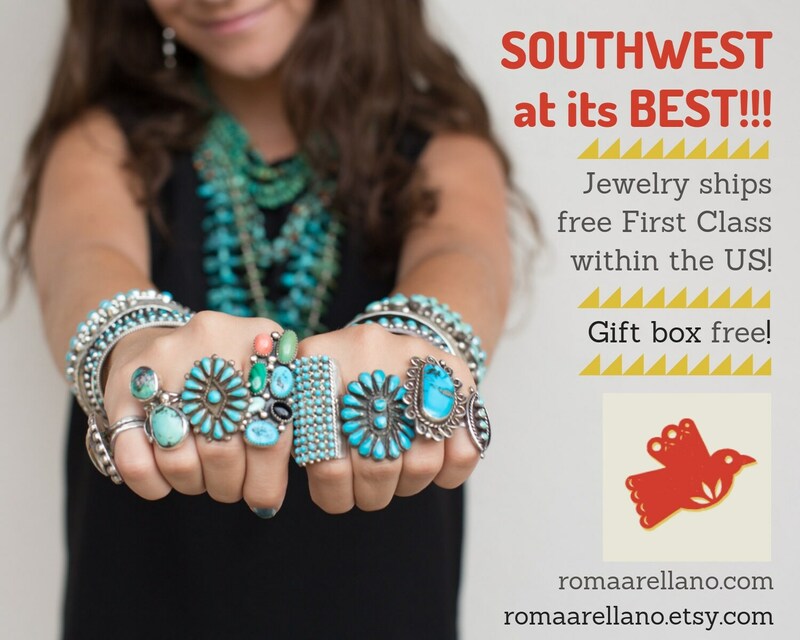 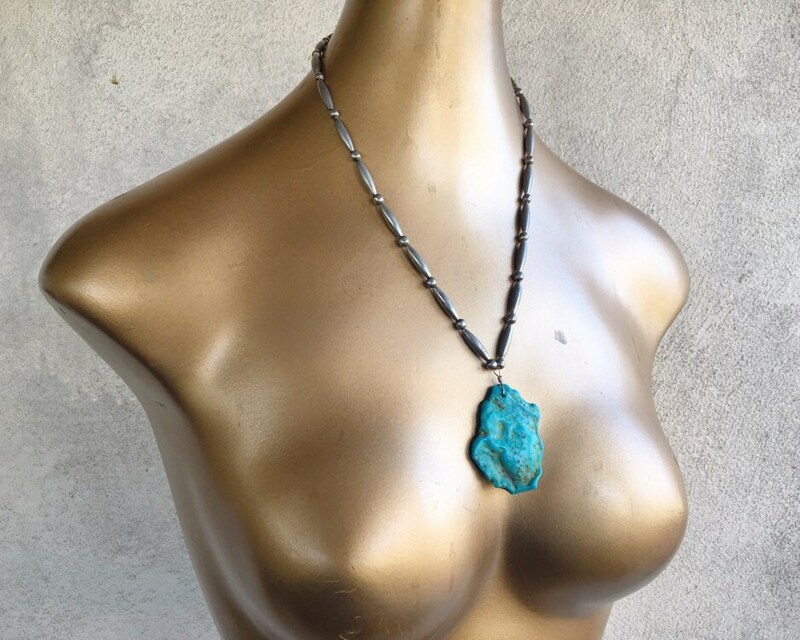 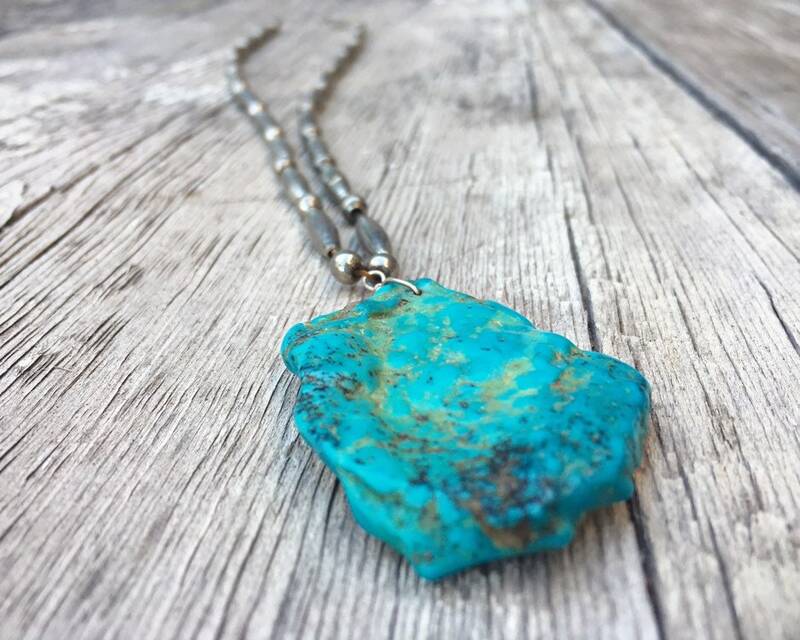 Great piece of turquoise sure to be noticed when worn.